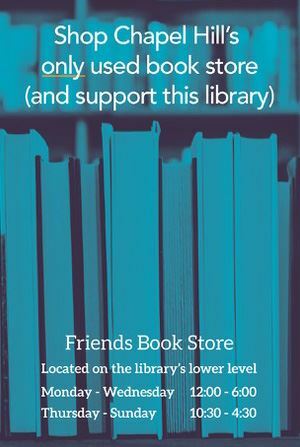 The Friends of Chapel Hill Public Library is an all-volunteer membership organization dedicated to the support of the Library. 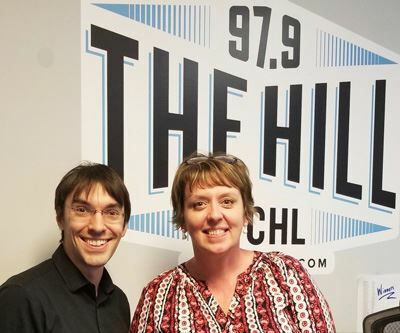 Enjoy talking books with Friends and two of Chapel Hill’s most entertaining personalities when Aaron Keck, news anchor and host of "The Aaron Keck Show" on WCHL, and Library Director Susan Brown co-host a special live presentation of the popular weekly radio program “Talkin’ Books”. This free program for members includes a light lunch and brief annual meeting where you’ll hear about the impact your membership makes on the Library. We’ll also present the slate of Friends Board members and officers for your vote. Support your community through the Library in a low-cost, high-impact way. Use your talents and experience to make a difference. Make a donation to support Chapel Hill Public Library. Donate to Friends of Chapel Hill Public Library every time you shop at Amazon. 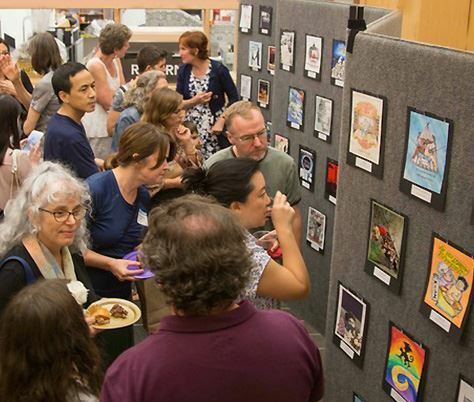 The Friends of Chapel Hill Public Library raise more than $135,000 for the Library each year from the sale of books donated by the community, membership dues and donations. 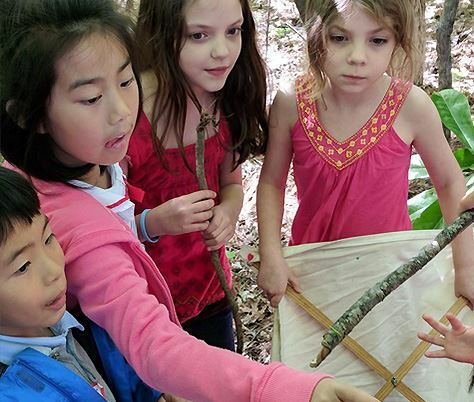 Explore More In Pritchard Park provides outdoor experiential learning opportunities in science, nature and the environment. 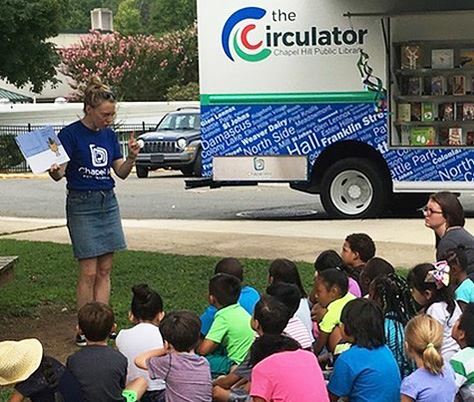 The Circulator brings staff, collections and services into the community. 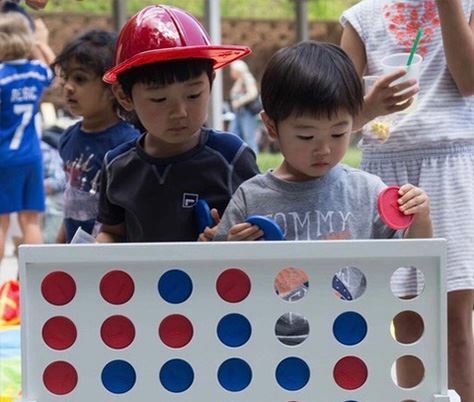 The Summer Blast creates a fantastic season of story times, book clubs, special performances and summer reading programs for children and families. 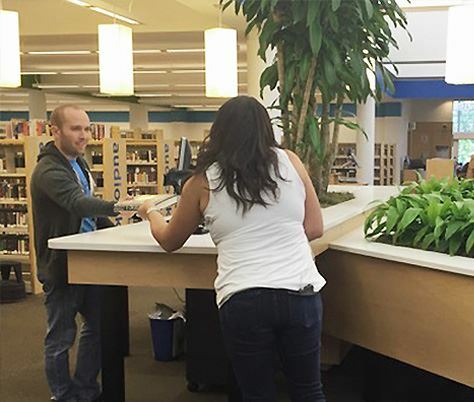 The Welcome Hub provides a new modern service point for Library users. The Library Lobby Redesign includes comfortable new seating, live plants, rugs and lamps. The Banned Books Exhibit Opening and Meet the Artist Reception precedes the release of banned book trading cards to the public. The programs and services the Library provides to our community would not make as much of a positive impact without the financial support provided by the Friends through annual memberships, book sale proceeds and other activities. These funds are put to use enhancing every aspect of the Library.